This is an important week for the public movement in India against genetically-modified seed and food, and against the corporate control of agriculture. 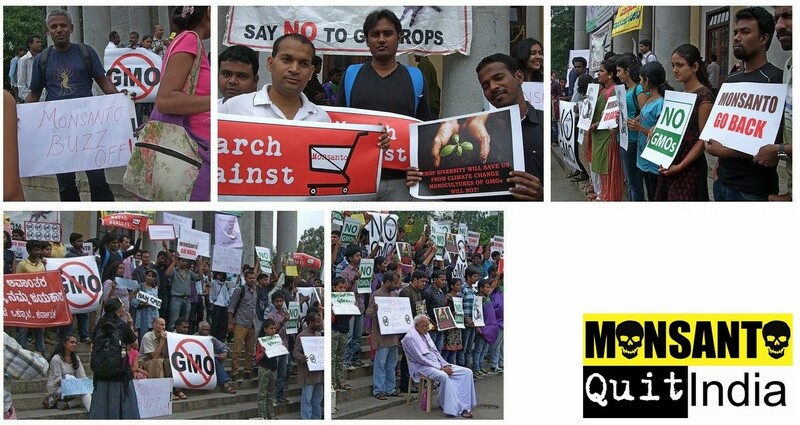 Just ahead of World Food Day 2013, the Coalition for GM Free India has held public protests, marches and events in major cities – Bangalore, Mumbai, New Delhi, Thiruvananthapuram and Chennai. 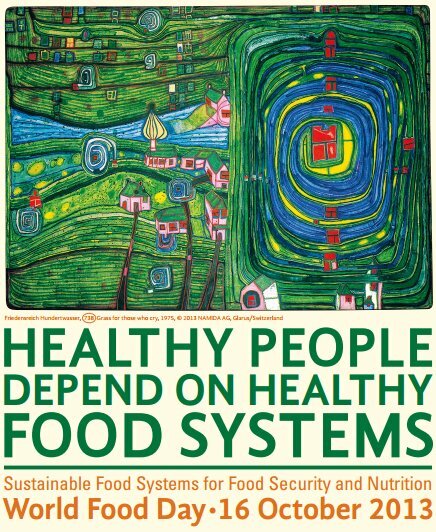 “Today, India is also under threat from the hazardous products that Monsanto wants to profiteer from – these are products that affect the very food that we eat to survive and stay healthy and our environment. These are products that have the potential to jeopardise future generations too,” said the Coalition at the protest meetings and marches. These actions have come when, in a very significant ruling by the High Court of Karnataka, a petition to dispose criminal prosecution of the Monsanto subsidiary in India, representatives of an agricultural university and a partner company, has been dismissed. Mahyco-Monsanto, the Indian seed company, the University of Agricultural Sciences Dharwad (which is in the state of Karnataka), and Monsanto collaborating partners Sathguru Consultants were accused by the National Biodiversity Authority and the Karnataka State Biodiversity Board of committing serious criminal acts of biopiracy in promoting B.t. Brinjal, India’s first food GMO. 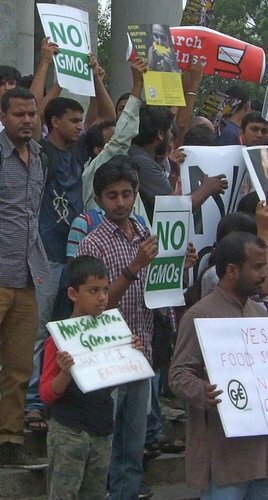 The Bangalore-based Environment Support Group (ESG) had said to the court that the entire process by which the product had been developed violated the Biological Diversity Act, 2002, and the Convention on Biological Diversity, 1992, and “constituted an outrageous act of biopiracy of India’s endemic brinjal (eggplant) varieties”. To substantiate this charge, the ESG produced evidence that all the endemic varieties of brinjal that had been accessed by the University of Agricultural Sciences Dharwad and Monsanto-Mahyco, with technical support from Sathguru Consultants and USAID, and the act of inserting the B.t. 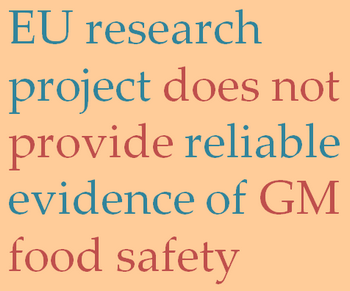 gene (a proprietary product of Monsanto), were undertaken without any consent of local Biodiversity Management Committees, the State Biodiversity Board and the National Biodiversity Authority. * Mahyco-Monsanto used its Bt cotton seed monopoly to set exorbitant prices. The Andhra Pradesh government had to use the MRTP (Monopolies and Restrictive Trade Practices) Commission, which observed that Monsanto-Mahyco was using unfair trade practices in India, while asking the company to reduce the royalty/sub-licensing fee being charged in India. * Monsanto-Mahyco did not hesitate to sue governments in India on issues related to compensation for loss-incurring farmers or price-regulation. * After the advent of Bt cotton, Monsanto entered into licensing agreements with most seed companies in India so that out of 22.5 million acres of GM cotton, 21 million acres is planted with its seed, Bollgard. Today it controls nearly 93% of the market share of cotton seeds in India, with little choice left to farmers. * Monsanto is on the Board of the Indo-US Knowledge Initiative in Agriculture, under which bio-safety regime for GM crops was sought to be weakened. * Monsanto entered into agreements with several states (Rajasthan, Orissa, Gujarat, Himachal Pradesh, Jammu and Kashmir) under which the states spend hundreds of crore rupees of public funds every year to purchase hybrid maize seeds from them. 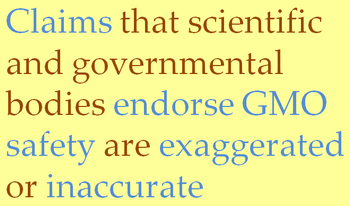 Such agreements were found to have no scientific or funding rationale to support them. Appraisals have shown these to be risky for farmers. However, the corporation has found huge, ready markets supported by taxpayers’ funds! * Monsanto is pushing the sales of its herbicide glyphosate which is known to cause reproductive problems. Approval for its herbicide-tolerant GM crops would skyrocket the use of this hazardous chemical in our fields. The action in court and on the streets of major cities must be recognised by the central and state governments in order to pursue the criminal prosecution against biopiracy in B.t. brinjal. This is critical, said the ESG, because it is for the “first time that India has sought to implement the provisions of the Biodiversity Act tackling biopiracy, and thus the effort constitutes a major precedent to secure India’s bio-resources, associated traditional knowledge and biodiversity for the benefit of present and future generations”. Update4: The water carried over land by Cyclone Phaillin has now travelled northwards and west. Daily monsoon system monitoring by the Centre for Ocean-Land-Atmosphere Studies – COLA (a scientific research centre to improve understanding and prediction of Earth’s climate variations) now show the danger from very heavy rain to districts in interior Odisha, eastern Madhya Pradesh, Chhattisgarh, Jharkhand, Bihar and eastern Uttar Pradesh. The soil moisture in these regions is already high – as it should be at the end of the south-west monsoon – and very heavy spells of rain approaching 20mm in three hours will cause widespread flooding. The National Disaster Management Authority and the armed forces will continue to have to be on the alert for flood-related rescue calls from these regions. 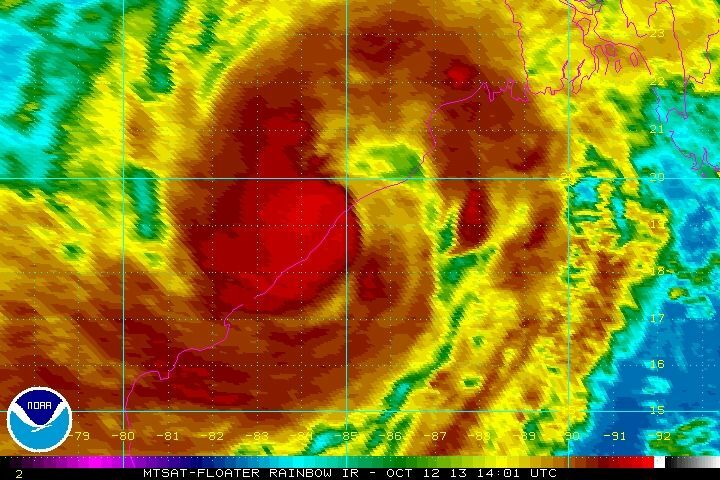 The NOAA image dated 12 October 2013 and timed at 1400 UTC which shows the eye of Phailin having crossed the Indian coast in Srikakulam district, Andhra Pradesh. (b) that hourly data from the automated weather stations on the eastern coast are not visible – no explanation as to whether they had been knocked out by the cyclonic conditions or whether the data links were down. Update2: The armed forces and para-military and disaster relief and rescue teams are reported to be ready. Two Indian Air Force IL-76 aircraft have taken teams and equipment to Bhubaneshwar, Odisha. The Indian Air Force is on stand-by at various bases including Raipur, Nagpur, Jagdalpur, Barrackpore, Ranchi and Gwalior. At least 28 teams of the National Disaster Response Forces have been mobilised. Fishermen moving fishing boats (above) to safe places following a warning about Phailin cyclone in Srikakulam district. Photo: The Hindu/Basheer. The Phailin data sheet at IST 1100 on the Tropical Storm Risk website (below). The East Coast Railway has cancelled or re-scheduled passenger trains between Visakhapatnam and Bhadrak on the Howrah-Chennai Main Line route, PTI News has reported. Among these trains are Puri-Cuttack-Puri passenger, Paradeep-Cuttack passenger, Cuttack-Paradeep passenger, Puri-Gunupur-Puri passenger, Puri-Rourkela passenger, Puri-Cuttack passenger, Bhadrak-Cuttack-Bhadrak passenger and Cuttack-Palasa-Cuttack passenger trains. The district control room numbers are: Mayurbhanj 06792-252759, Jajpur 06728-222648, Gajapati 06815-222943, Dhenkanal 06762-221376, Khurda 06755-220002, Keonjhar 06766-255437, Cuttack 0671-2507842, Ganjam 06811-263978, Puri 06752-223237, Kendrapara 06727-232803, Jagatsinghpur 06724-220368, Balasore 06782-262674, Bhadrak 06784-251881. In Odisha, 200 trained ham radio operators have been put on alert to help with rescue work. Eight stations have been put on ‘active alert’ while there are 28 stations as back-up around India. 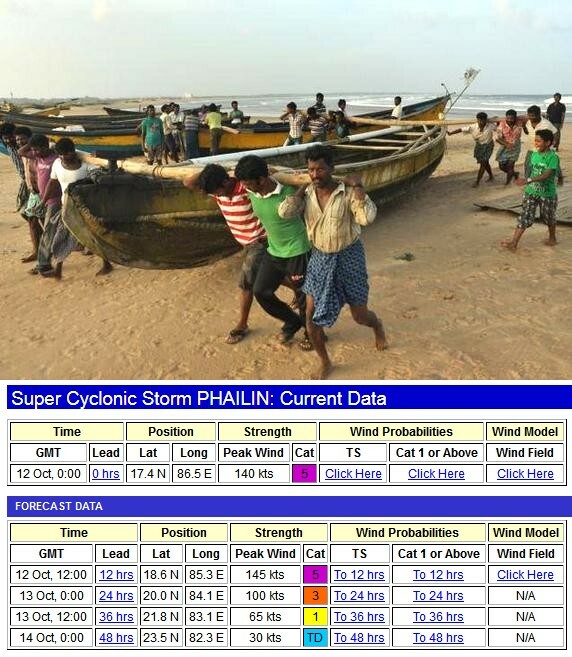 Also consult the Tropical Storm Risk site for frequent updates on the course and strength of Phailin. Update1: For those in coastal Odisha and Andhra Pradesh, check TV and radio broadcasts for weather alerts and conditions in your district for as long as there is electricity. The government weather websites – India Meteorological Department and Mausam – have become very unresponsive probably due to high traffic. Important advice from the National Disaster Management Authority of India – If you are in the cyclone danger zone: check the house; secure loose tiles. remove dead wood or dry branches close to the house. Anchor movable objects like piles of wood, tin sheets (these are deadly when sent flying during a cyclone), loose bricks, rubbish bins (whose lids can fly like dangerous missiles in high wind), unbolted sign-boards. Keep a few wooden boards, nails and a hammer ready to board up glass windows if they are in danger of shattering inwards. Keep emergency lighting ready. Ensure mobile phones are charged. Keep battery-operated torches ready batteries handy. Store boiled or filtered water for drinking. Keep dry food (such as biscuits) at hand if conditions worsen and you can’t cook a hot meal. Zee News (television and online) has reported that in Odisha “thousands flee to shelter homes stocked with emergency food supplies and medicines”. National Disaster Response Force (NDRF) teams have reached Bhubaneswar (capital of Odisha) as evacuations have begun in Odisha and north Andhra Pradesh. Union Defence Minister A K Antony has asked armed forces to be ready to move in to Odisha and Andhra Pradesh. NDTV (television and online) has reported that five districts “are preparing for the worst impact of the cyclone: Srikakulam in Andhra Pradesh and Ganjam, Puri, Khordha and Jagatsinghapur in Odisha.” Helicopters and food packages are ready for areas that are likely to be worst hit. A minister in the Andhra Pradesh state government has reportedly said that 64,000 people are being evacuated from Srikakulam, Vishakhapatnam and Vizianagaram and are being shifted to cyclone shelters. The forecast six-day path of cyclone Phailin. 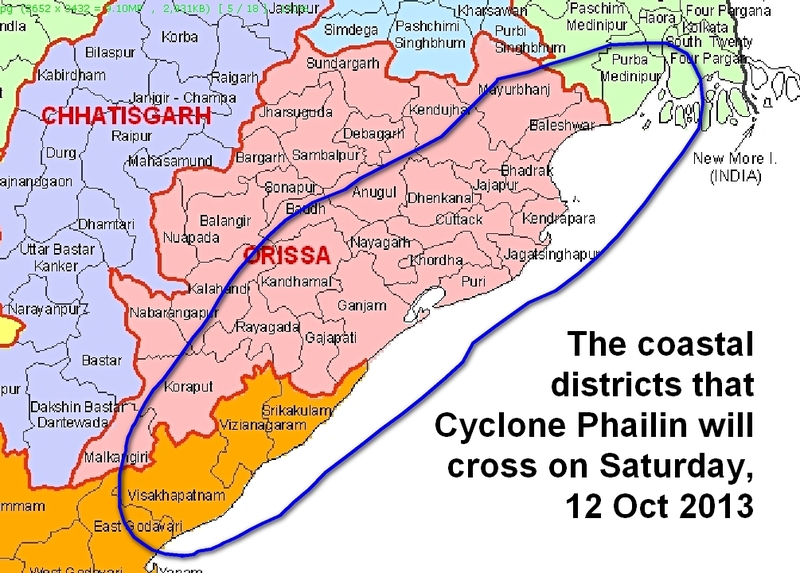 The state of Odisha is preparing for Cyclone Phailin as it approaches from the Bay of Bengal. Consult the new map of Phailin and its possible pathways from the Global Disaster Alert and Coordination System (GDACS). My reading of the forecast path of the cyclone – using the map sets from the National Centre for Medium Range Weather Forecasting (Earth System Science Organisation, Ministry of Earth Sciences) – is that in Odisha the districts of Ganjam, Puri, Jagatsinghpur, Kendrapara, Bhadrak, Baleshwar, Kordha, Jajapur, Cuttack, Nayagarh and Gajapati will be in the cyclone’s path beginning with increasingly heavy rain and fierce winds from Saturday morning 12 October 2013; in Andhra Pradesh the districts of Srikakulam, Vizianagaram and Visakhapatnam and in West Bengal the districts of Purba Medinipur will be in the cyclone’s path. 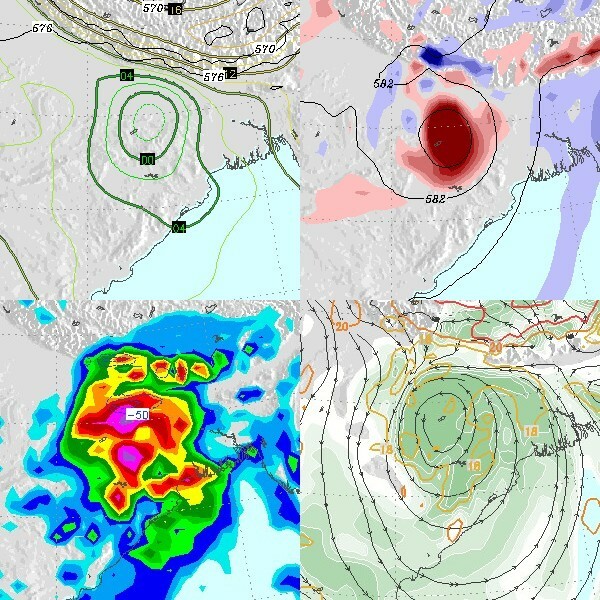 The series of stacked rainfall forecast maps above show the approach of Cyclone Phailin from 11 October. 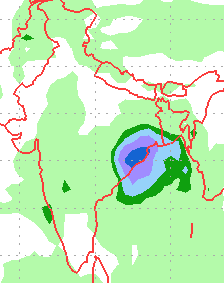 Look for the deep blue circle in the left panel from the first pair (top left, 24 hours) – extending out ahead of the cyclone core is the rain storm, which will cross the northern coast of Andhra Pradesh. 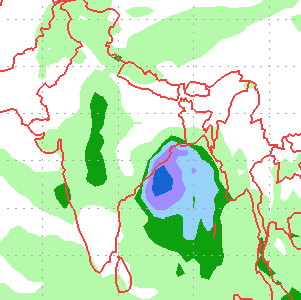 In the second pair (top middle, 48 hours), the blue circle has moved closer to the coast – rainfall from the vast gyre of clouds around the approaching cyclone will extend far inland, in a great spike through Andhra Pradesh, parts of Madhya Pradesh and north into western Uttar Pradesh. 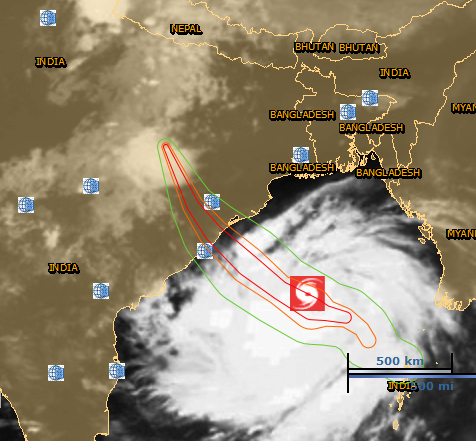 In the third pair (top right, 72 hours), the cyclone has made landfall with Odisha in the centre and affected districts in Andhra Pradesh to the south and West Bengal to the north – this is when the disaster management teams in the districts will be taxed to the utmost, having already been battered by heavy rain and unrelenting high-speed winds for two days. In the fourth pair (lower left, 96 hours) the cyclone is still very active as it moves north-west to sweep across Odisha. In the fifth pair (lower middle, 120 hours) the cyclone core has finally weakened (no longer coloured deep blue) but has moved into Jharkhand, Bihar, West Bengal and eastern Uttar Pradesh. In the sixth pair (lower right, 144 hours) the cyclone’s force has dissipated leaving rain in its wake across eastern India. The first signs of the long-awaited change in thinking at the International Monetary Fund (IMF) can now be seen in the World Economic Outlook report. 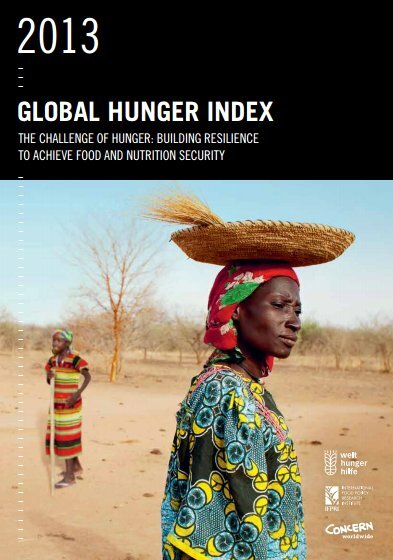 This routine blatherfest, which is issued by the IMF’s slick-but-barmy public relations department, is unremarkable on every occasion and the only reason you’d want to punish yourself by plodding through the 500-odd pages of this ode to deforestation is to admire the very latest chic for presenting boring graphs and charts. But this time, it’s as if a Buddhist rinpoche has edited the manuscript. What’s changed and why? For the year 2013 the IMF has said that ‘global output’ (output of what, you may well ask, but do hold your horses) to expand 2.9% instead of the 3.1% it had, in an unsporting manner, forecast this July. Between that monsoon month and this one some heads must’ve rolled at the IMF (many more to follow suit I hope) because now the IMF has taken a firm long stride towards its manifest destiny: bringing about the no-growth economy. However, some die-hard lumpens are still doing their best to rally growth insurrectionists to their tattered flag. They are still making announcements like “our analysis attributes the slowdown in part to cyclical forces, including softer external demand and in part to structural bottlenecks” and are wondering why “this has happened in spite of supportive domestic macroeconomic policies, (still) favorable terms of trade, and easy financing conditions, which only began to tighten recently” but confess to being bemused by “a non-trivial portion of the slowdown remains unexplained, suggesting that other factors common to emerging markets are at play”. 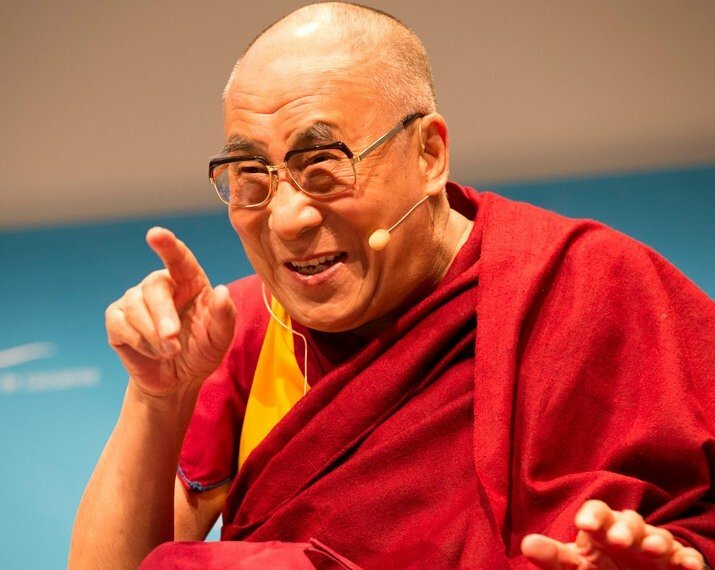 Not to worry, these radical elements will soon be overwhelmed, rounded up, their iPads and Nasdaq terminals will be confiscated and they will be issued the standard entry level rations of organically grown tulsi tea, second-hand kolhapuri sandals (‘chappals‘ to the initiated) and Indian khadi kurtas. 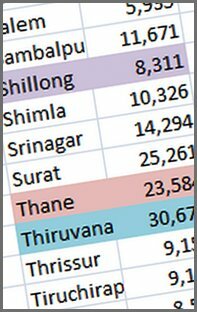 All you ever wanted to know about excel charts but were afraid to ask. I have suggested to our IMF comrades that they rename the ‘current slowdown’ bubble ‘the fish’n’chips crisis’. Nonetheless, I will be the first to admit that their ideologues present quite a different challenge. You can see for yourself how difficult it is going to be to dislodge some of the rebel ideologues from an IMF that has already, in rank and file, enthusiastically redefined odious growth to in fact mean none at all. This soporific video will help you judge. I couldn’t get beyond 00:07 of the footage before falling over with acute narcosis, but perhaps you are made of sterner stuff. Likewise, one of the leading rebel subcomandantes is broadcasting a steady tattoo of counter-revolutionary propaganda. 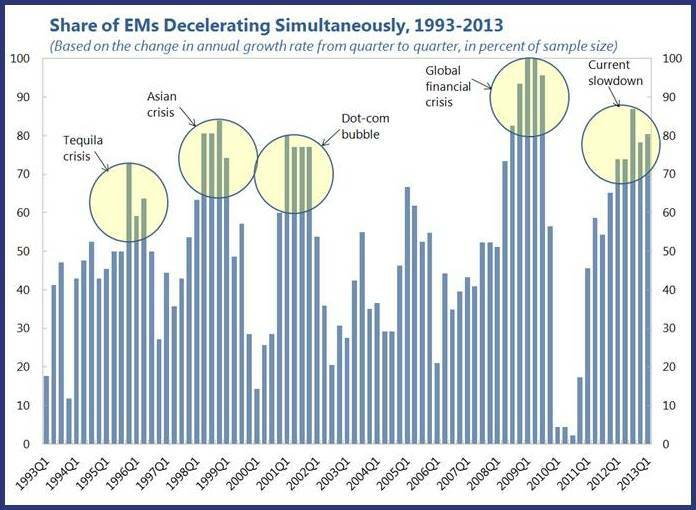 She has been recorded as saying “changing global growth constellations have exacerbated risks in emerging market economies” and that “monetary policy accommodation combined with domestic vulnerabilities in emerging market economies may lead to further market adjustment globally” and even threatening “risks of asset price overshooting or even balance of payments disruptions”. It is only a matter of time before this resistance is overcome. Meanwhile, I would be remiss in my duties as a degrowth advocate along the inspiring lines now redrawn by IMF if I did not remind these recalcitrants that Chairman Mao had said “A revolution is not a dinner partyy” or that Muammar Gaddafi had written (the Green Book, naturally) that “Mandatory education is a coercive education that suppresses freedom. To impose specific teaching materials is a dictatorial act” and that General Vo Nguyen Giap had when confronting the enemy firmly said “Their morale is lower than the grass”. Finally, intelligence reports just in have confirmed that the conclusion of the IMF’s revolutionary new no-growth tract, which reads “a new round of structural reforms is a must for many emerging market economies, including investment in infrastructure, to reignite potential growth” is in fact a printer’s devil. 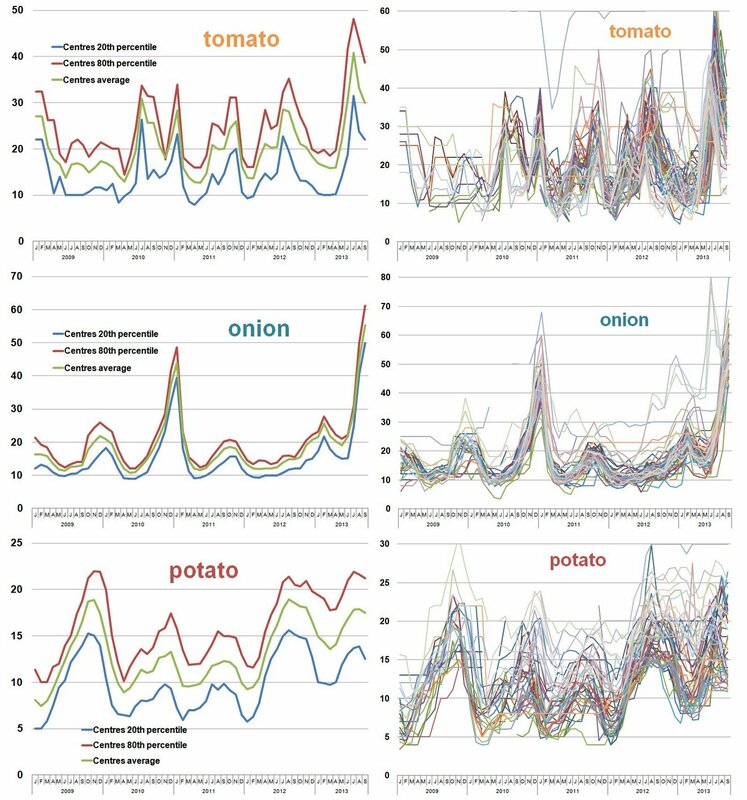 Quietly, a group of researchers from an institute that guides new thinking in rainfed farming, has published a finding that ought to make India sit up and take notice. They set out to ask whether a twenty-year-old classification of districts according to the climatic patterns observed in them still held true. 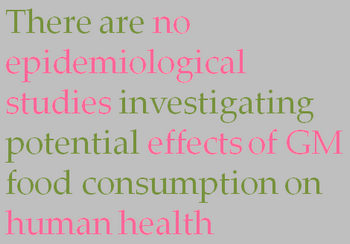 It doesn’t, and this group from the Central Research Institute for Dryland Agriculture (CRIDA) has a remedy. 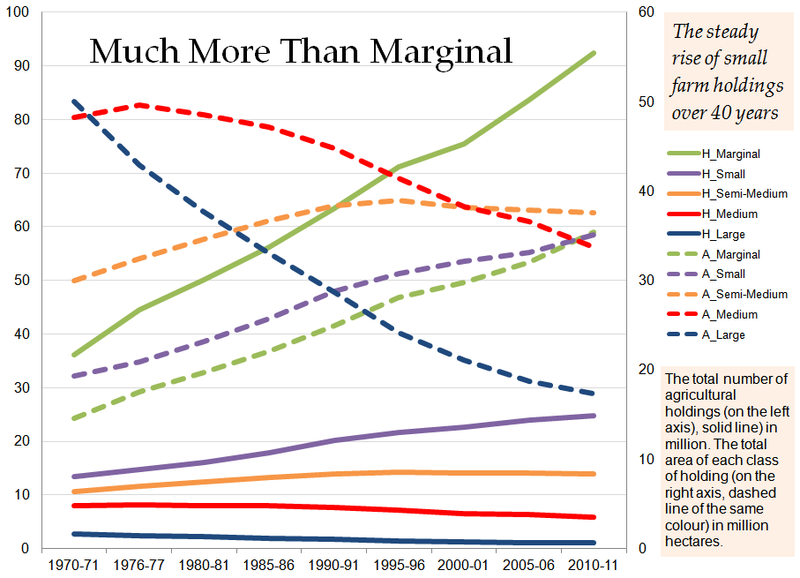 But the startling finding is that there is a recorded climatic shift in about 27% of the geographical area of India. Not that Current Science, the widely-read and well-respected fortnightly journal published by the Current Science Association (with the Indian Academy of Sciences) put it that dramatically. An eighty-one-year-old journal prefers drama in theatre and not as a by-product of scientific inquiry. Nonetheless, the finding is there and it is published, in Volume 105, Number 4, the issued dated 2013 August 25. 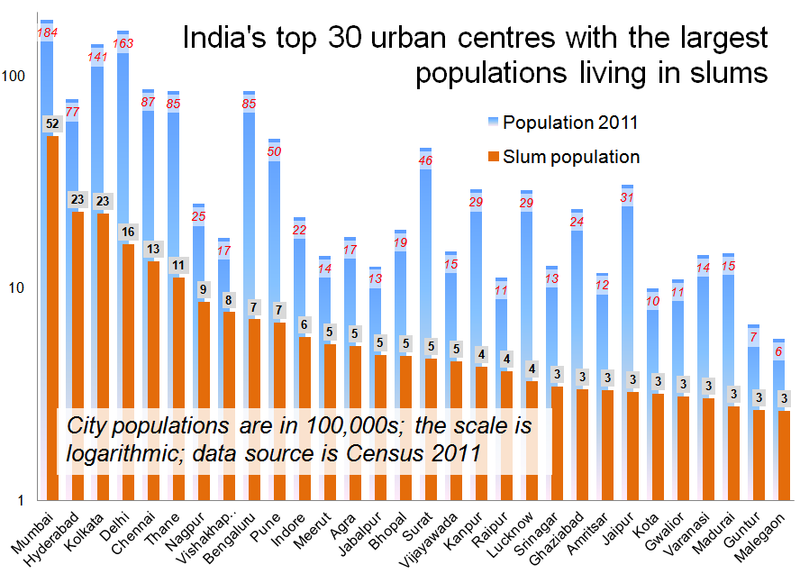 The problem has to do with how district-level planning can best be done – I am moulding this problem a bit to fit my own well-advertised bias against the state as the unit of planning and in favour of the district as the unit. The authors of the innocuously-named paper, ‘Revisiting climatic classification in India: a district-level analysis’, have pointed out that the Planning Commission of India had emphasised the need for district-level plans and the district as the focal unit for development schemes in the Twelfth Five Year Plan. 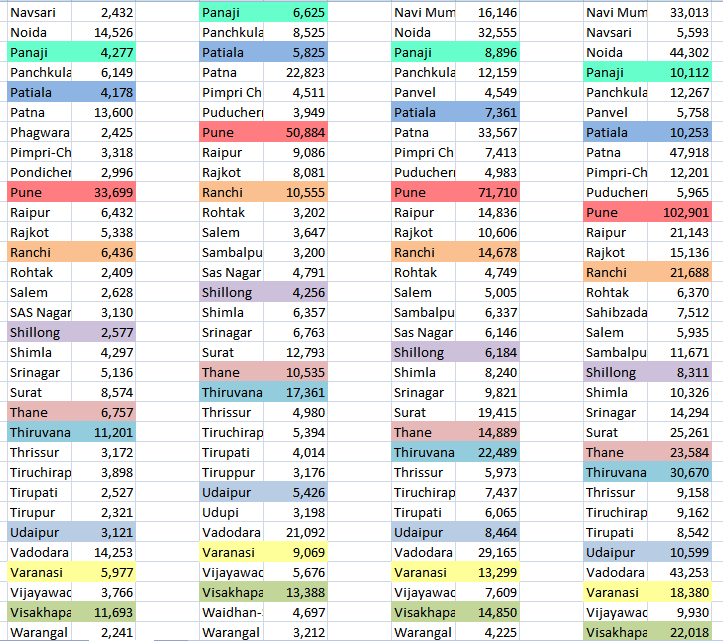 Only partly correct, for the Commission has been advocating a district-level contribution to planning in possibly every Five Year Plan from the 1980s onwards, although in the Eleventh and Twelfth that earlier conviction has been replaced by a condescension for planning whose origin is not New Delhi, but that really is another complaint altogether. Earlier studies had indeed brought climatic classifications to the district level, but in those cases climatic data sets used were old (not later than 1970). And that is partly why the climatic classification used by the Ministry of Rural Development when it assesses (or says it does) the eligibility of districts to qualify for the Drought Prone Area Programme and the Desert Development Programme dates back to 1994 (the DPAP and DDP that veteran block development officers are familiar with). No wonder then that this group of researchers, steeped in studying dryish and rainfed districts, chafed at the vintage of the classification. The most important difference observed between the old studies and the CRIDA group’s study was the shift of climate from moist sub-humid/humid to dry sub-humid in Odisha (12 districts), Chhattisgarh (7 districts), Jharkhand (4 districts) and Madhya Pradesh (5 districts) “to a great extent”, as they have said. There is also a substantial increase of arid region in Gujarat and a decrease of the same type of region in Haryana. Other salient observations include the increase in the semi-arid regions of Madhya Pradesh, Tamil Nadu and Uttar Pradesh due to a shift of climate from dry sub-humid to semi-arid. Likewise, the moist sub-humid pockets in Chhattisgarh, Odisha, Jharkhand, Madhya Pradesh and Maharashtra have turned dry sub-humid to a larger extent. Among various shifts observed by the group, the shift from moist sub-humid to dry sub-humid was the largest (7.23% of the country’s geographical area). 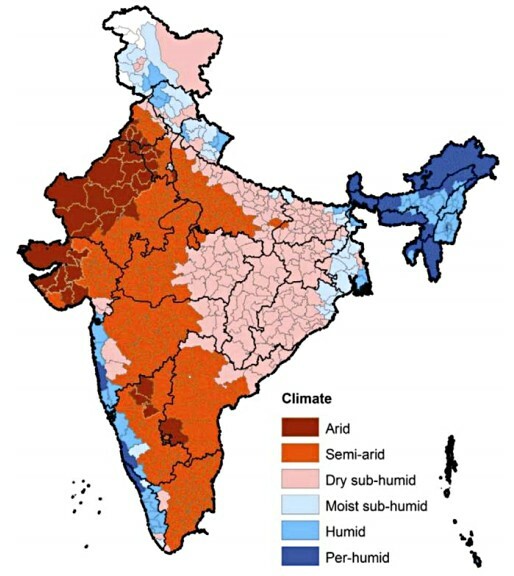 About half of the moist sub-humid districts in eastern India (other than West Bengal) became dry sub-humid. A number of humid districts of Jammu and Kashmir, Uttarakhand and Himachal Pradesh turned moist sub-humid. In Mizoram and Tripura, the shift was towards per-humid from the earlier humid climate. I cannot over-emphasise the importance of this finding. In a post titled ‘Rain, districts and agriculture in India, a first calculus’ there is a map. This shows rainfed areas in India occupying some 200 million hectares (that is, over two-fifths of India’s total geographical area) and agriculture that depends on the south-west monsoon (and winter rains) is to be found in about 56% of the total cropped area. The National Rainfed Area Authority (NRAA) of India has estimated that 77% of pulses, 66% of oilseeds and 45% of cereals are grown under rainfed conditions. And the pioneering work I referred to in that posting also included CRIDA. 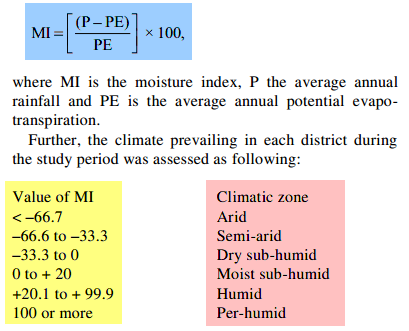 There is no doubt that this updated district climatic classification will be vital for all those working at the district level, whether for agricultural planning, for assessment of water demand, preparing measures during times of drought, or determining whether the DPAP and DDP of yesteryear and the RKVY and NFSM of today need recalibrating. Once again led by first class work at CRIDA, the district as the default administrative unit for development, assessment, planning and enumerating becomes the norm we still fail to adopt. To the 11 of the CRIDA group who really must take a bow for this work, I can only say: well done, for the revolution is at hand.